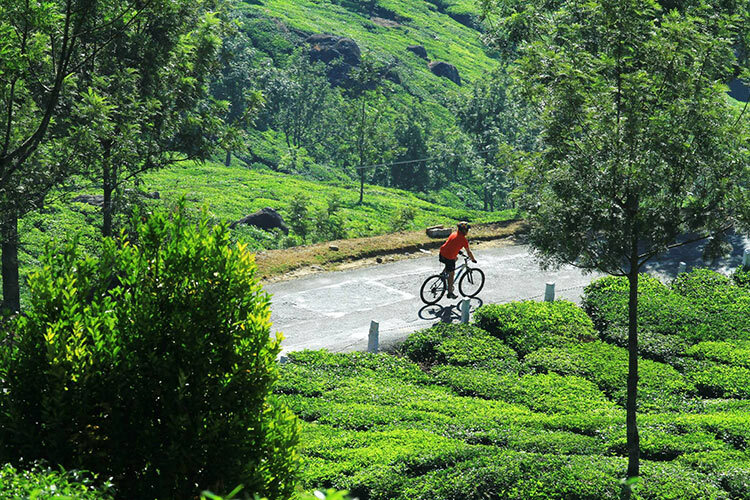 Home DestinationsAsia India and Sri Lanka – two tea–rrific destinations for a cycling holiday! Whilst most might think that us Brits are the chief tea drinkers of the world, you might not know that tea is also something engrained within Indian and Sri Lankan culture too. On our Classic Kerala and Backroads and Beaches cycling holidays, we explore endless tea plantations and even a Tea Museum, then cycle through the very tea estates that provide the leaves for your morning brew. With tea on the mind (and a brew firmly in hand) we take a closer look at this classic beverage loved by millions across the globe. Did you know that tea is a second most consumed drink in the world? Beaten only by water! It’s more loved than coffee, beer and even Coca-Cola. Today, India is the world’s second largest tea producer and is widely exporting its vast selection of teas to many countries around the world. Alongside this, over 70% of tea grown there is actually consumed by Indians themselves. Obviously, tea is a top beverage of choice for the locals! Sri Lanka is not far behind India and is the world’s forth-largest producer of this much-loved drink. Interestingly, it’s the British who started the development of tea production in Sri Lanka, by bringing seeds from China back to the country in the 19th century. Today it’s one of the most prominent tea producing countries in the world. As part of our cycling tour in India you will visit Munnar, a major plantation centre, rich with tea estates and is a must see stop in South India’s largest tea-growing region. Here you’ll be greeted by miles of lush plantations and will have an opportunity to take a fascinating look into the history of tea production in Munnar during the visit to a Tea Museum. Feed your curiosity about everything it has to offer and discover the many stages of processing– your chance to learn a thing or two about your beloved beverage. On our adventure to Sri Lanka you will head to Nuwara Eliya, a district in the Central Province best known for its particularly fine quality tea. This region is quite different from anywhere else in the country due to high altitudes, hills and cool breezes – a lovely contrast to the tropical landscapes you’ll encounter during your last few cycling days with us in Sri Lanka. 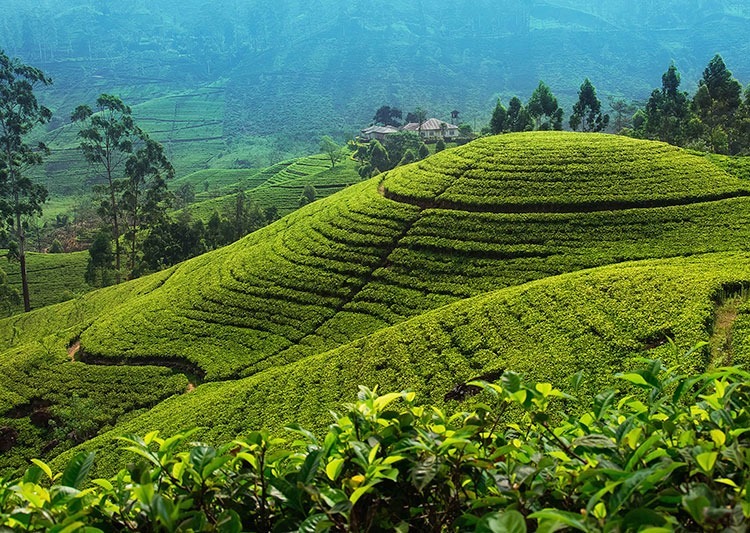 Experience the beauty and serenity of the local tea plantations, which accompany an abundance of beautiful scenery and delicious local cuisine on our cycling holidays to India or Sri Lanka.